For many years before my rediscovery of oils, after office hours I worked in wax-based colored pencil; since my return to painting I have also continued with colored pencil, experimenting with works on board rather than paper and adapting tonal underpainting methods to my pencil work. My subject matter is primarily the human figure in light and space, with occasional forays into still life, interiors, and animal companions. 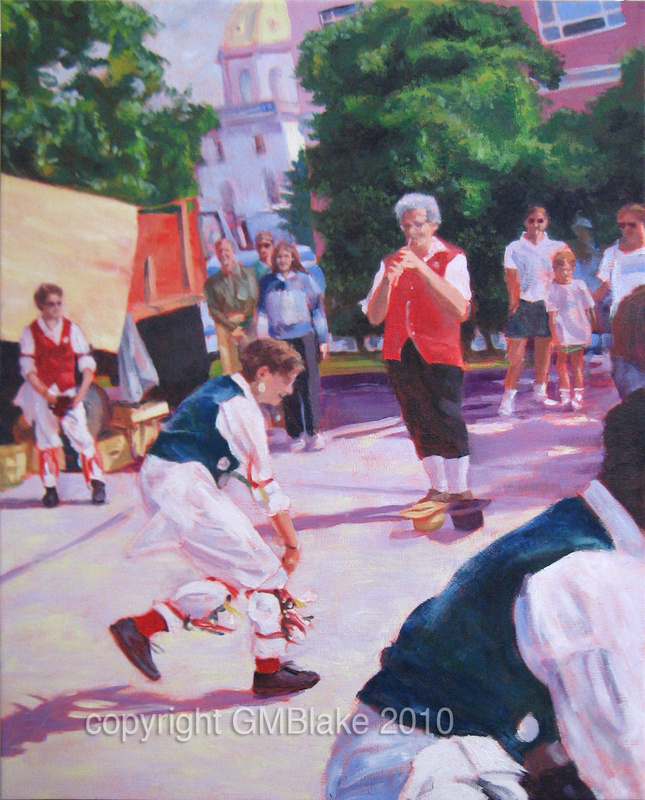 In 2013 I finished a grant-funded expansion of my Anglo-American traditional dance series, called Unlikely Dance. My current series is Watchers, based on combinations of statuary and landscapes. I’m also experimenting with some different painting techniques. I am an Exhibiting Member of Cooperative Gallery 213 in Binghamton, NY. I’m also a member of the Fine Arts Society of the Southern Tier., the Broome County Arts Council, and the Maryland Federation of Art, Annapolis, MD. You can see some of my fine art portfolio here. Find out more about my painting process here.